If you were asked to grade the current health care system, what grade would you give? In their 2013 Survey of US Employers on health care costs and reform, Deloitte asked 500 employers this question. The results? 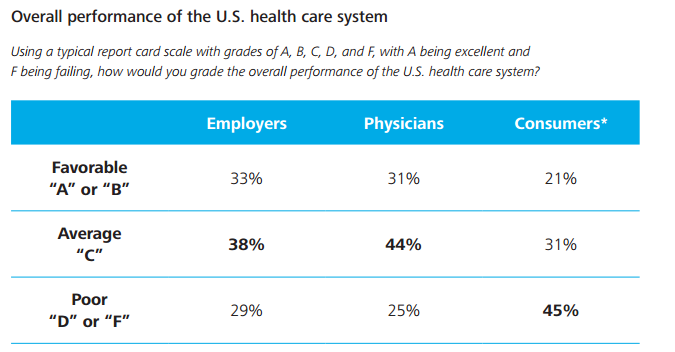 29% of employers graded the health care system a “D” or “F"
These findings reflect a growing idea that the current employer-sponsored system of health care is broken. The study provides a snapshot of employer-sponsored health care. It highlights trends in health care, health benefits strategies, and the Affordable Care Act. Deloitte's 2013 Survey of US Employers polled employers with 50+ employees who currently offered health benefits. The report's key findings reflect employers' concern and uncertainty about ACA preparedness, health care system performance, cost-reduction strategies, and the quest to find value. Value and ROI: Employers are seeking better value and health outcomes for their investment. 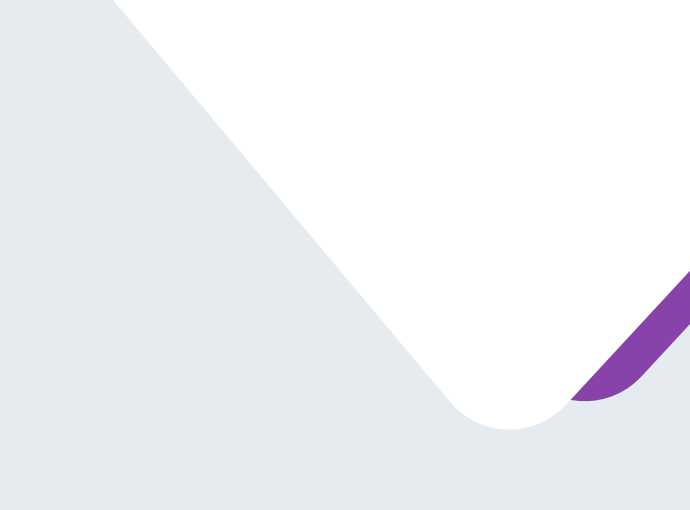 Many employers are dissatisfied with the performance of the health care system, considering it to be costly, wasteful, under-performing, and lacking in transparency. Affordable Care Act (ACA): Three years into implementation, the ACA still remains largely a mystery to many employers. 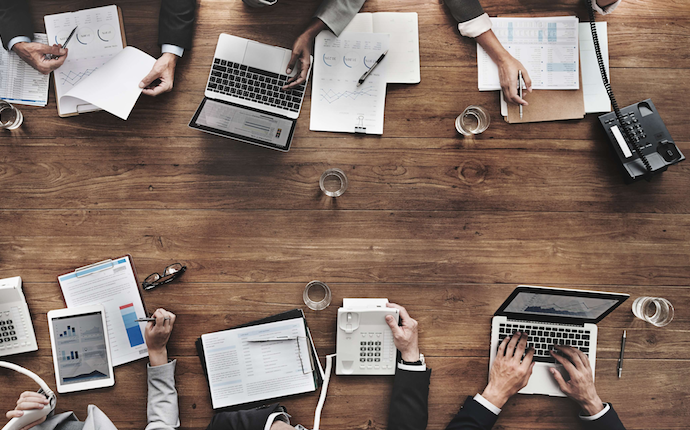 Employer strategies and tactics: Employee cost-sharing tactics are in place but there is a gap between what employers are currently using and tactics they believe would have a high impact in managing costs, if implemented. Employers seek value and ROI with their employee health benefits programs because they see the costs increasing. 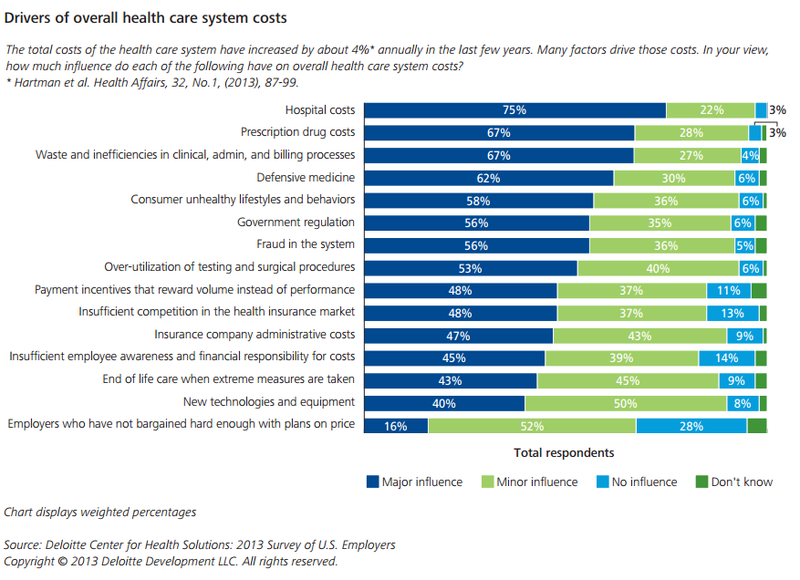 What do employers think are the key drivers in overall health care system costs? According to the survey, hospital costs are a major driver, followed by prescription drug costs, and waste/inefficiencies in administrative, clinical, and billing processes. 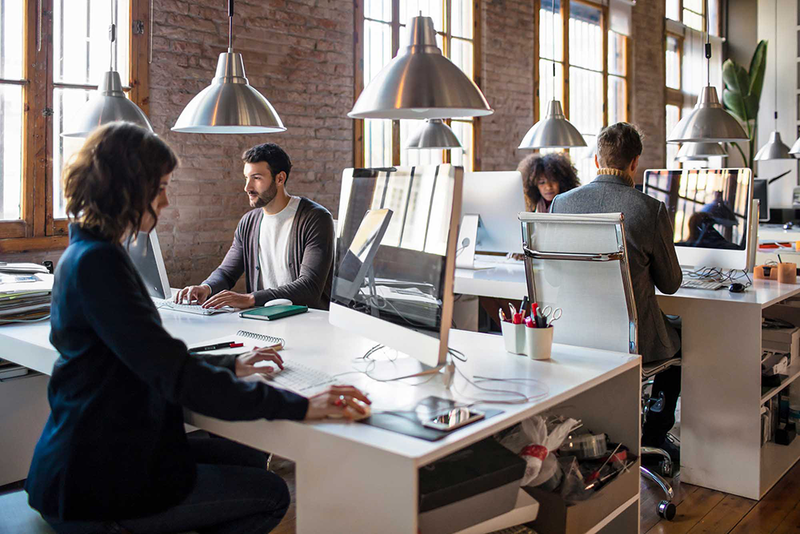 Are employers ready for ACA? 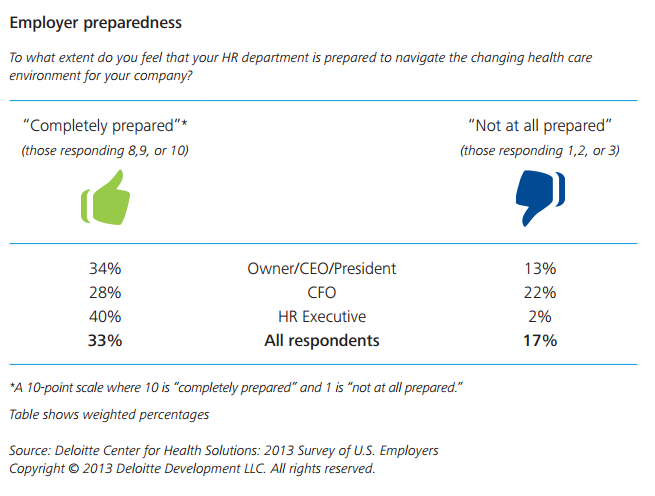 Overall, a third (33%) of respondents said they were completely prepared, and 17% said not at all prepared. The most prepared? HR Executives. 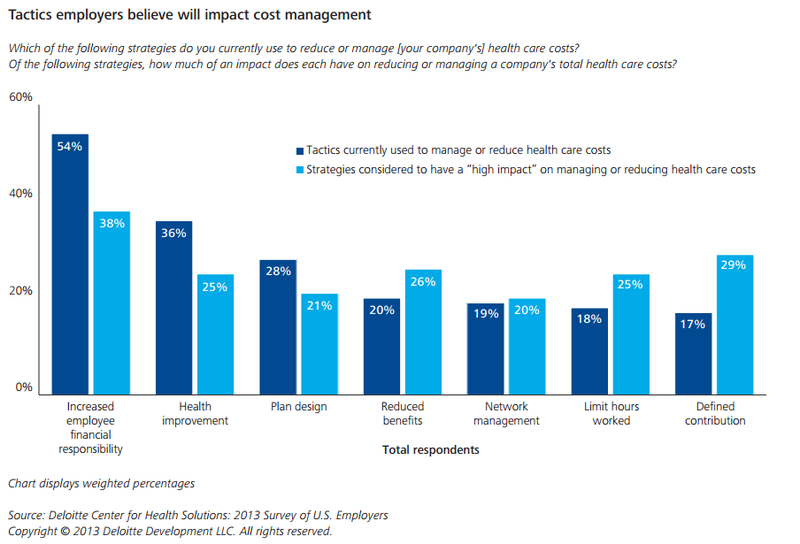 Lastly, what are the strategies and tactics employers are using to manage the increasing health care costs? 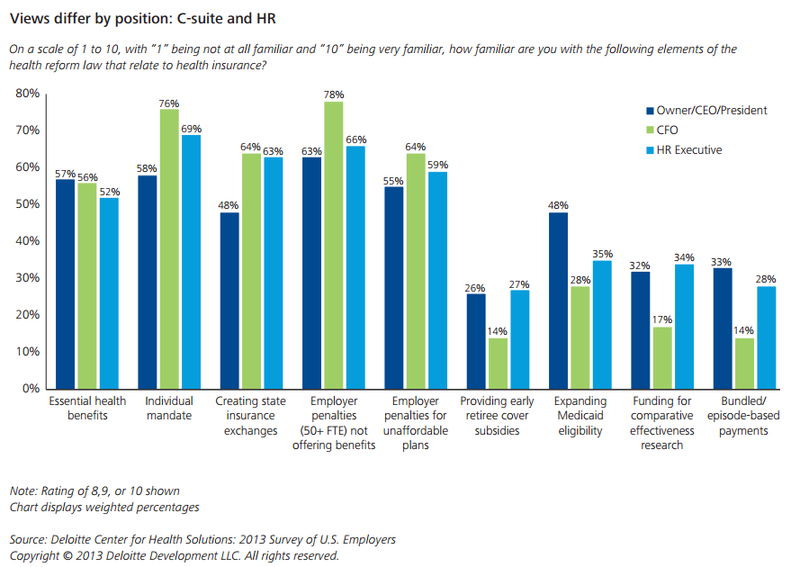 Images and Survey Source: Deloitte's "Health Care Costs, Benefits and Reform: What’s the Next Move for Employers?" Report. What stands out to you? Leave a comment below.